The Player Tracking & Junket Management (PTJM) module aims to the creation to a complete members playing profile (visits, play time, average bet, theoretical and actual win/loss, etc), combined with relative expenses made for that member (transportation, accommodation, food, liqueur, cigars etc) for a comprehensive evaluation of each member. a. Data collection and management of data related to member playing activity. b. Management of player reward through points, based on evaluation of actual player activity. c. Management of casino partners (junket operators) bringing players on commission. Data processed by the PTJM module are available and used by other modules like Surveillance, Table Management, Slot Management, CRM and Cage Management. Data managed by the module are also available to the Business Intelligence module for further use in business decision making. • Support of different player tracking methods according to casino procedures (i.e. average bet, actual win/loss based on drop and cash out, actual win/loss based on analytical data for bet/win per customer, etc.). • Powerful management of player points (bonus points, transfer of points from one member to another, validity of points over time, etc.). • Powerful touch screen / PDA data collection system that can operate either on each table or in a cluster of tables, or in the pit allowing easy player identification, for recording drop, bet, win, chip out, play time etc. • Support of user defined algorithms for player classification based on player tracking data. 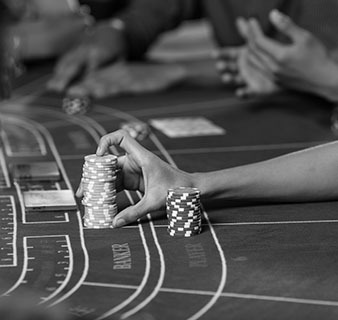 Player classification can be used as a factor in point earning algorithms and in other player reward procedures supported by the application. • Management of redemption items that can be exchanged for points. Information managed per redemption item include purchase value, retail value, points required, items purchased, items redeemed, current stock. • Interface for point exchange with other casino systems that award and redeem point in the casino (electronic gaming machines, restaurants, mini markets, retail shops, associated hotels). • Powerful reporting tools for processing and presentation of player tracking data (top/bottom 100 players, player value calculated as actual or theoretical win, taking into consideration benefits granted to player). • User defined Junket Operator hierarchy (unlimited hierarchy levels) allowing coexistence of agents and high rollers at the same level. • Capability to manage at each individual node of the junket hierarchy the commission percentage, the percentage of expenses allowed for “complimentaries” (COMPS) or “consumables” (CONS). For example the junket commission may be 1,25% of the rolling and the CONS may not exceed 0,1% of the rolling. • Management of agreement per junket node (agreement duration, percentages for commission which can be calculated either on bet (rolling) or on actual or theoretical win/loss or on other player tracking data, CONS and COMPS).